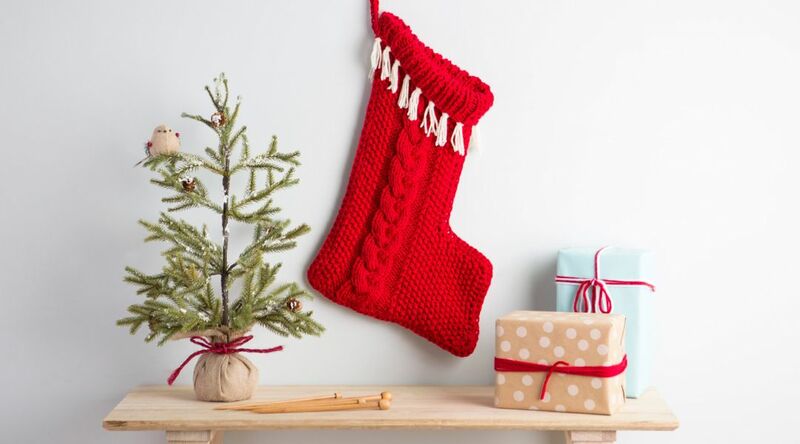 Get into the holiday spirit with this classic knitted Christmas stocking. 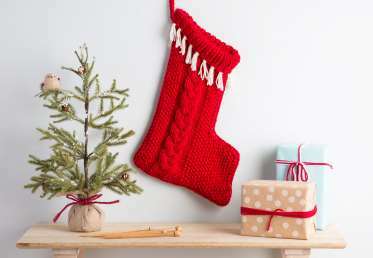 Knitwear designer Marly Bird shows you how to construct this oversized stocking, which features a gorgeous centered cable flanked by seed stitch. The stocking is created in two pieces, and then the edges are crocheted together to create a tube. 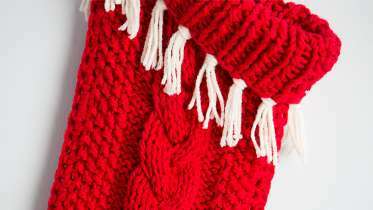 Add decorative tassels and pompoms for an extra dose of holiday cheer.